One of the hottest getaway destinations in the world, the Island of Phucket, Thailand attracts thousands of visitors each year. Originally a land of trade and commerce, it has blossomed into a booming tourist attraction and vacation hot spot, well-known for its beaches, shopping, and festive nightlife. Phuket may not be the first place you imagine when you think of Thailand – that’s probably reserved for the big-city glamor of places like Bangkok. However, you’ve seen it before, even if you’ve never been there. Blue skies? White sand? Exotic birds? Not only is it a slice of tropical paradise, but it’s also a land of rich history and cultural significance. Not much is known about its earliest inhabitants, only that Asian and European explorers frequently used the island as a pit stop for natural resources. In the 17th century, a three-way war erupted between Denmark, England, and France as they fought for control of the goods. This conflict is the origin of one of Phuket’s most famous stories – that of Khun Muk and Than Phu Ying Chan, sisters who dressed as men and (successfully) fought a five-week battle against invading forces. A monument was erected for their bravery and can still be viewed to this day. In fact, whether you’re looking for landmarks or shopping malls, Phuket can deliver on all accounts. Want to see the sea turtles? Hit up Sirinat National Park, where the gentle giants can be viewed laying their eggs every year. Or maybe you’re a sea creature looking for the water yourself – in that case, Patong Beach attracts thousands of divers each year thanks to its cool, calm waters and exotic marine life. Phuket also boasts many annual events, including festivals, traveling fairs, and triathlons. The Chinese Vegetarian Festival celebrates its culture with parades of fire-walkers and blade jugglers. The annual Sea Gypsy Boat Floating Festival launches hundreds of small boats to ward off evil and bring the island good luck. If you’re traveling to Phuket, be sure to check the weather conditions before you go. The rainy season is from May to October and can reach up to 15 inches in a good month! You’ll also need to keep an eye on the climate, as summer temperatures can quickly become stifling. The good news, however, is that there are no distinctive seasons – whether you’re traveling in January or July, your wardrobe won’t change much. Just be sure to pack an umbrella! 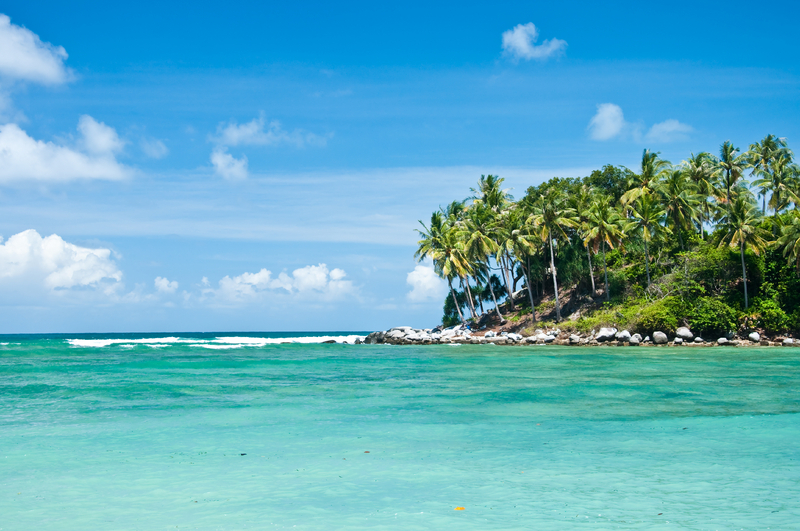 Have you traveled the shores of Phuket? Visited other parts of Thailand? Do you have any advice or recommendations for our readers?